When Baxter was four he owned a book about a squirrel and he vaguely remembered being very impressed by the illustrations. 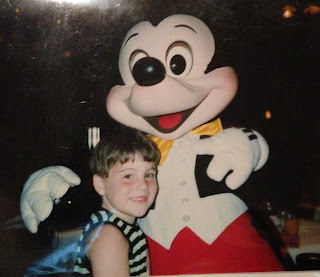 As he got older his parents gave the book to Goodwill and Baxter had no idea if the book existed anymore. 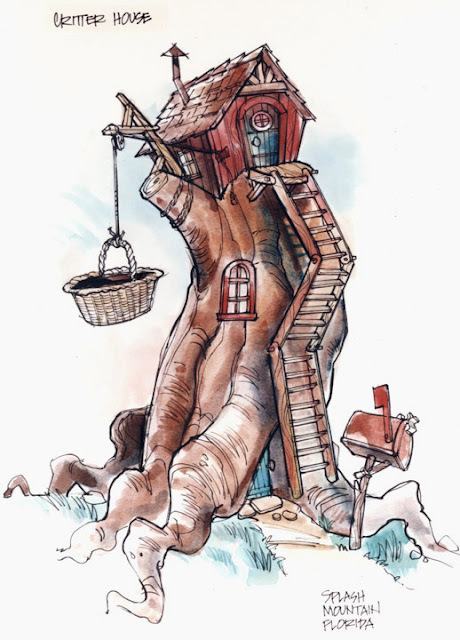 This didn’t stop Bruce Gordon, who began searching high and low for this children’s book. 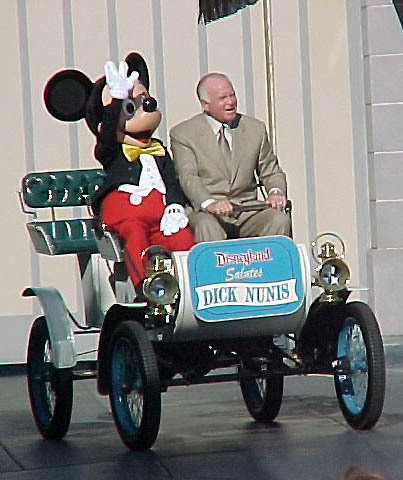 Gordon finally found it at the Library of Congress. Fortunately, the pictures in the book did look as good as Tony Baxter remembered and, in fact, the pictures looked so good that Stone used them as inspiration for the interior show scenes for the ride. 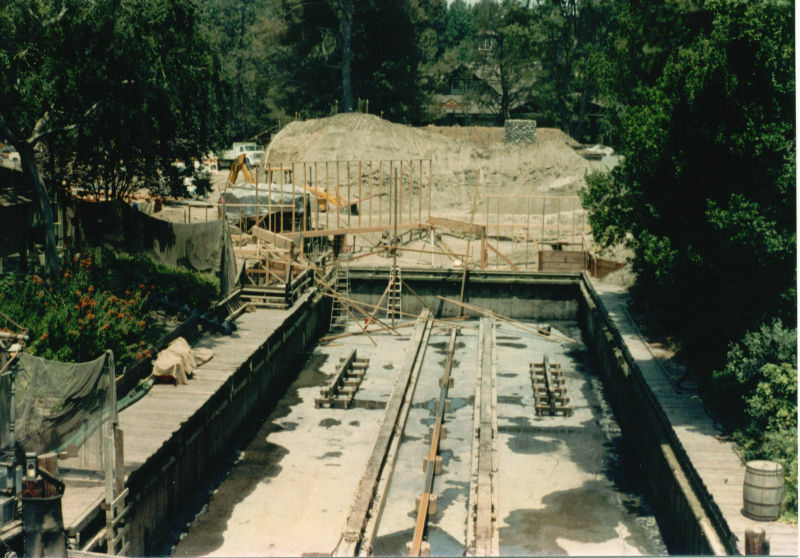 While work began to progress on the project, everyone knew it would be a hit. 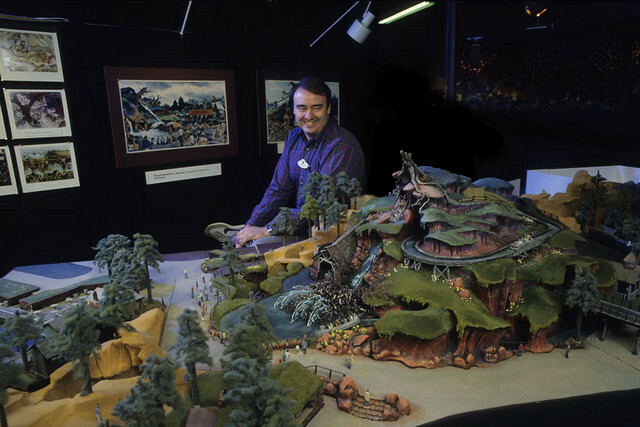 Shortly after Baxter and the others built a 1/20th scale model, several people in the WDI building would stop by and say how great it looked. 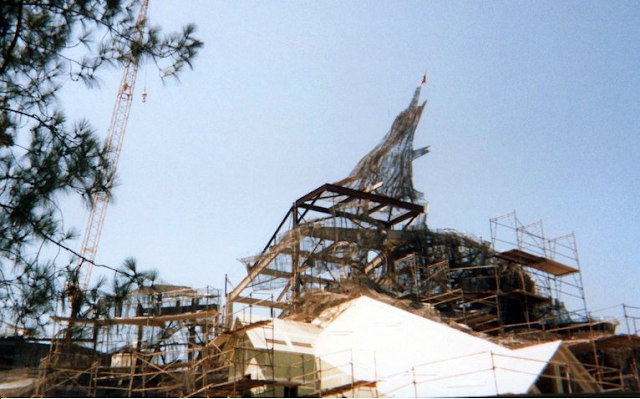 The project came together flawlessly and within four weeks the Imagineers had the storyboard and model done. 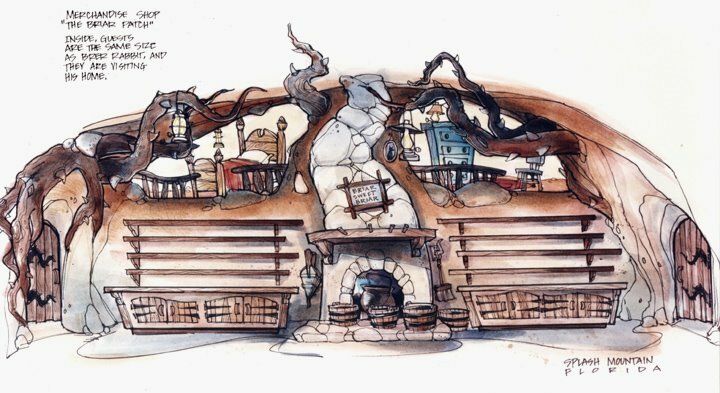 It’s a great sign while designing an attraction when everything falls into place. 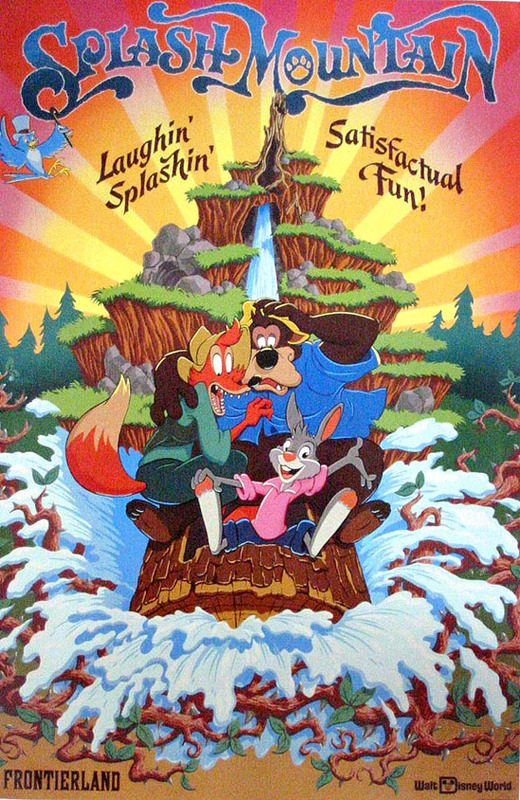 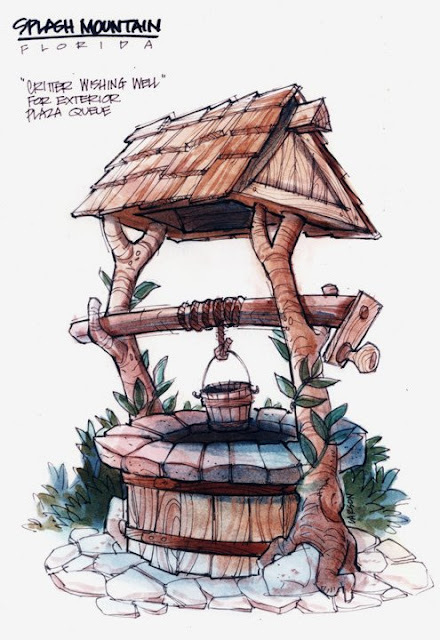 The result of that design was a flume ride based on “Song of the South” that featured not just Brer Rabbit, Brer Fox and Brer Bear, but also over 100 characters that once performed in America Sings. 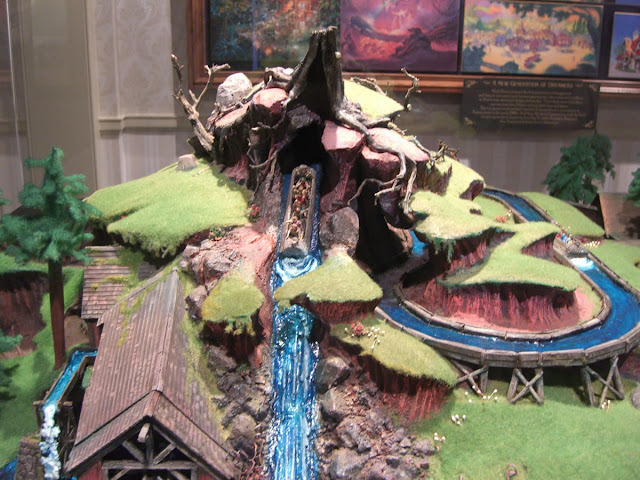 The creation of Splash Mountain caused for several changes to occur inside Disneyland. 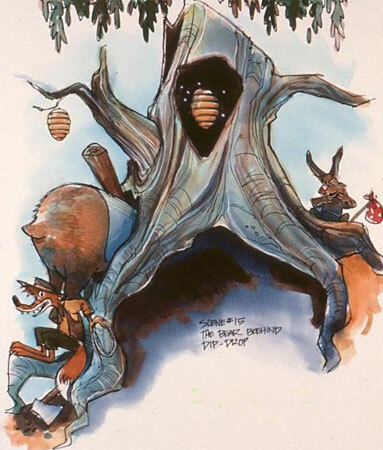 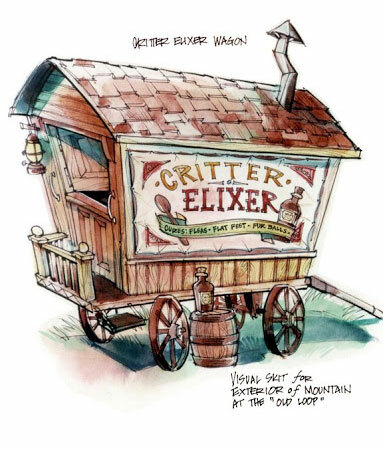 One such change was to what was known as Bear Country, now called Critter Country; the Imagineers wanting something to draw guests back into Bear Country. 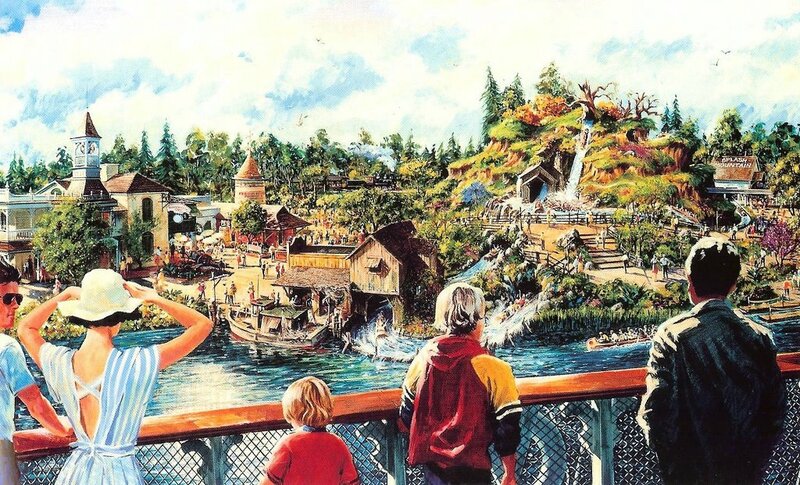 It was becoming a much underutilized area and there was a perceived need for a new Disney attraction. 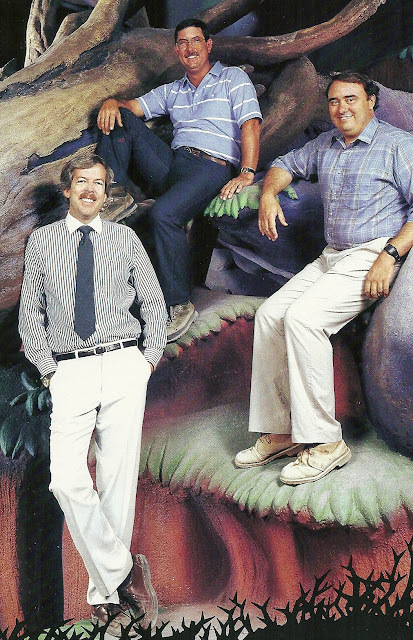 During this time the Imagineers created and completed Captain EO and Star Tours, which are great attractions, but it had been awhile since they did a ride based on classic Disney characters from the films and Splash Mountain gave them that chance. 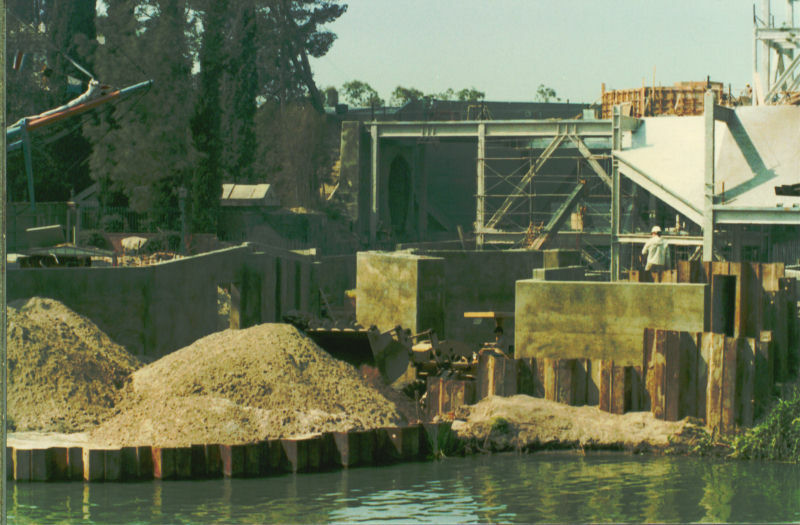 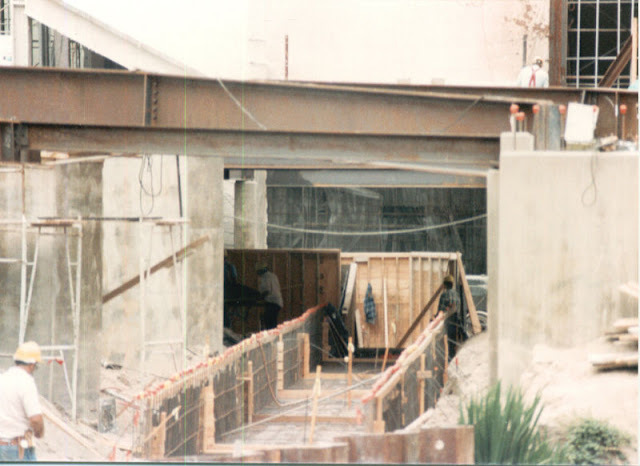 Even though everything fell into place in the development stages of the ride, it still took five years for the attraction to be built. This was due to the fact that Disney had a flood, or traffic jam, of other projects in the works and Splash Mountain had to wait its turn in line. In 1986 the ride was finally given the go-ahead and everyone involved was extremely excited by the idea of building a really thrilling and unique attraction based on classic Disney characters. 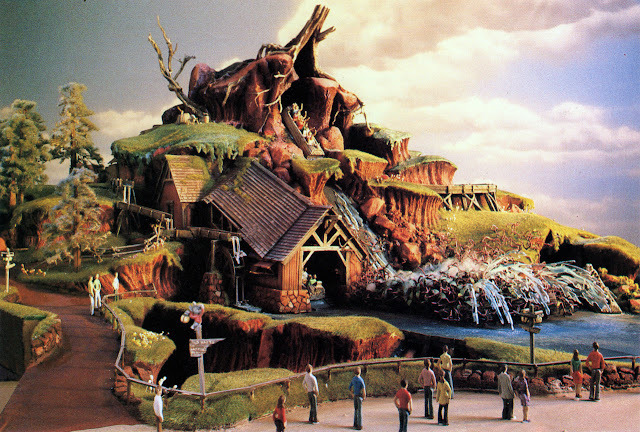 Splash Mountain is a 10 minute ride that is half a mile long that features five drops, including a astonishing final drop that plunges over 52 feet at a 45-degree angle. 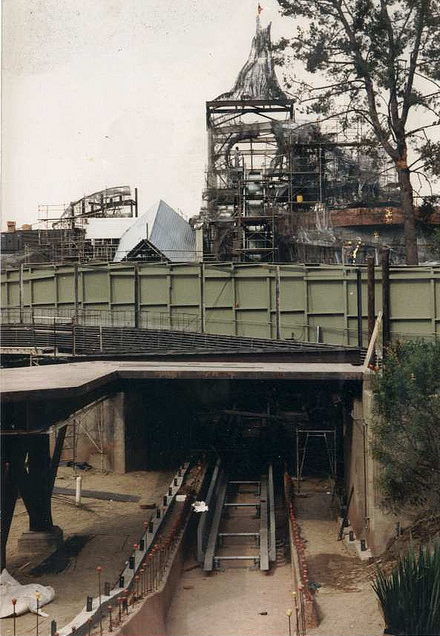 Ride vehicles made to look like logs reach top speeds of 40 mph while going down the final drop, making the ride one of the fastest at Disneyland, WDW and Tokyo Disneyland. 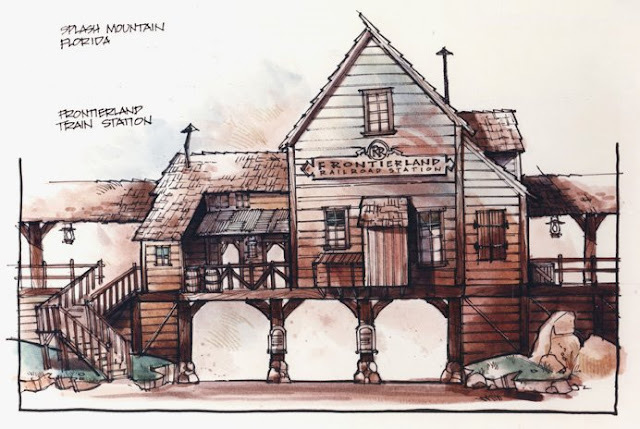 One of the best parts of Pirates of the Caribbean, besides the drops, is the Blue Bayou section in the beginning of the ride because it gives the rider a chance to get in the mood before the ride actually starts. 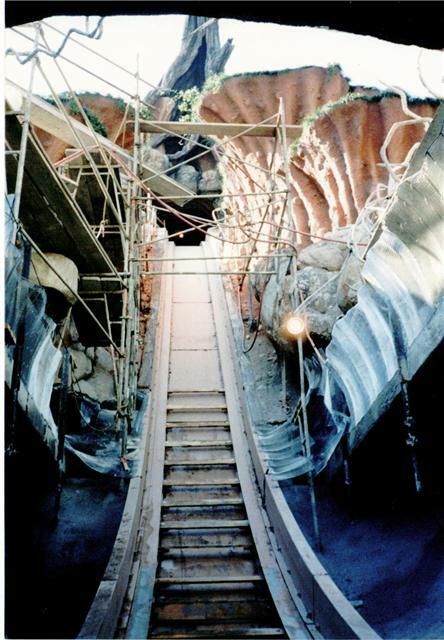 The Imagineers used the same tactics here by allowing riders that round Chick-a-Pin Hill to see other logs hurtling down the final drop. This gets the juices flowing as the rider keeps in mind throughout the ride that they will eventually be going down that huge drop. 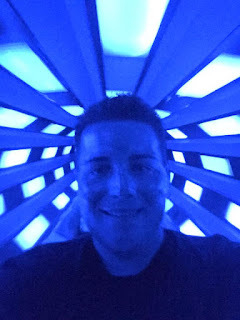 In theory, the first part of the ride is suppose to be relaxing, then, slowly but surely, starts to build up some anxiety of what’s to come. 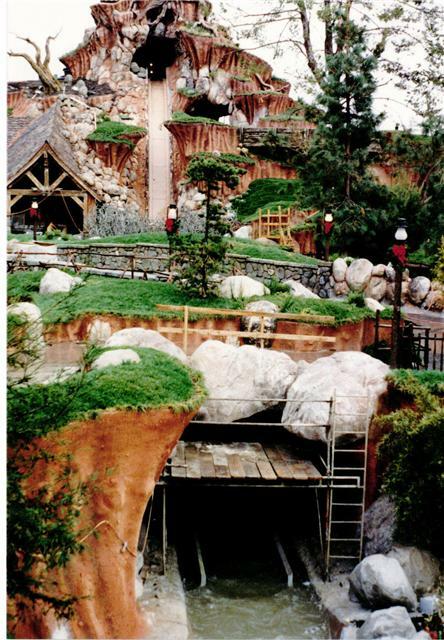 After the first drop, guest suddenly fined themselves in the fascinating world of Brer Rabbit, Brer Fox, and Brer Bear. 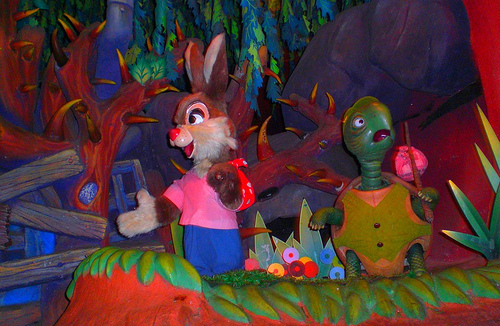 One unique thing about the ride is that absolutely no walls are used to divide show scenes. 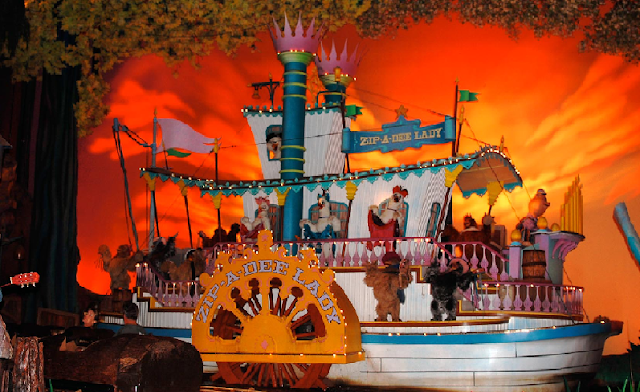 Instead, the ride is separated by set pieces so guests may look all the way to the other end of the bayou without giving away the story. Also, unlike Pirates of the Caribbean, where most of the action is far away from the rider, Splash Mountain is right on top of you. 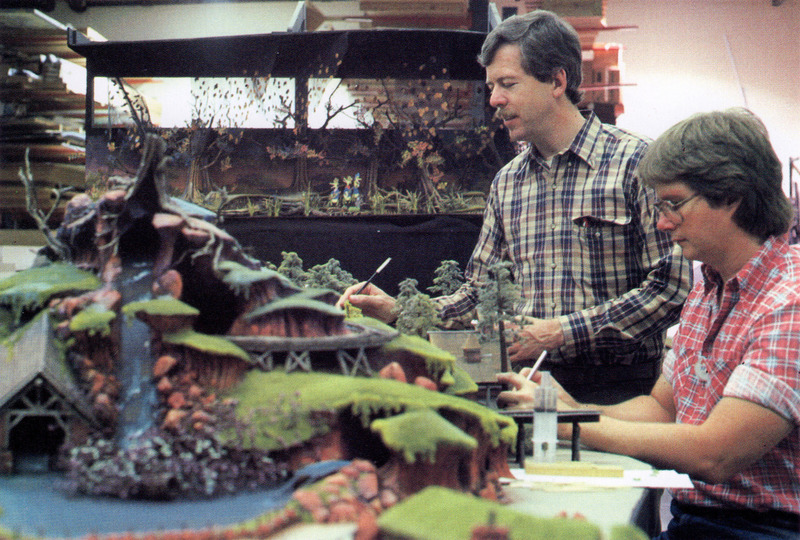 Imagineers wanted the riders to feel as if they are part of the attraction and very much a part of what’s happening.